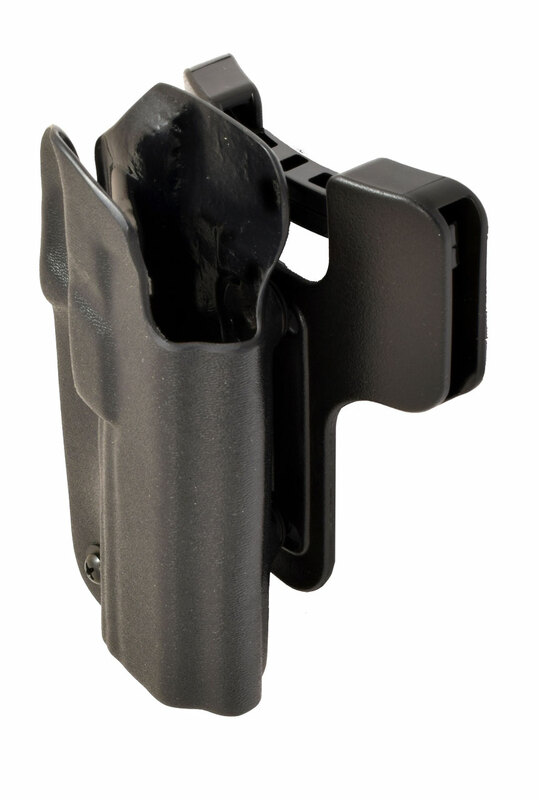 The IDPA PDR PRO-II holster incorporates our latest generation Kydex holster body, as used in the popular PDR PRO-II holster. It is an efficient, fast holster body, available for many popular gun types for both right and left handed shooters. 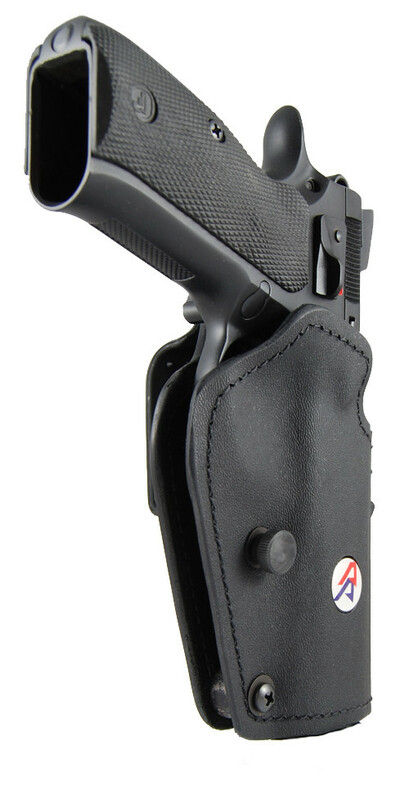 The PDR-PRO-II holster body does not include the Suede lining that the PDR offers, making it more suitable for competition use, where speed and ease of draw are paramount. 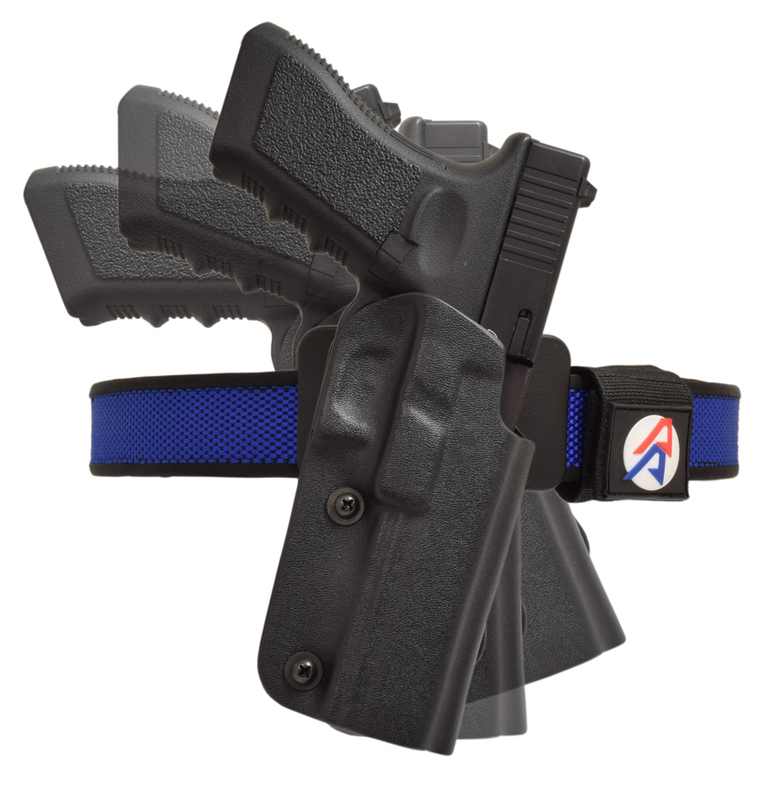 Attaching this PDR-PRO-II body to our Belt-Ride Ambidextrous Hanger, makes this holster a perfect choice for IDPA competitors or for general carry and range use. 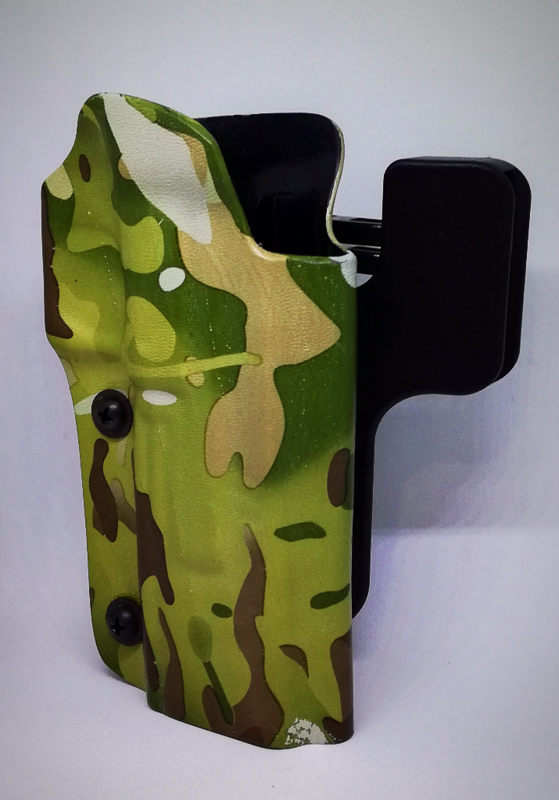 The bare Kydex cannot be beaten for speed, quick release and smooth draw. 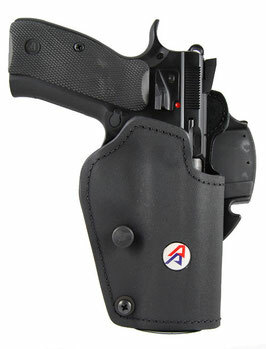 Tension adjustment is done by turning one, or both Phillips head screws, which are accessible from the outside of the holster body, while worn. 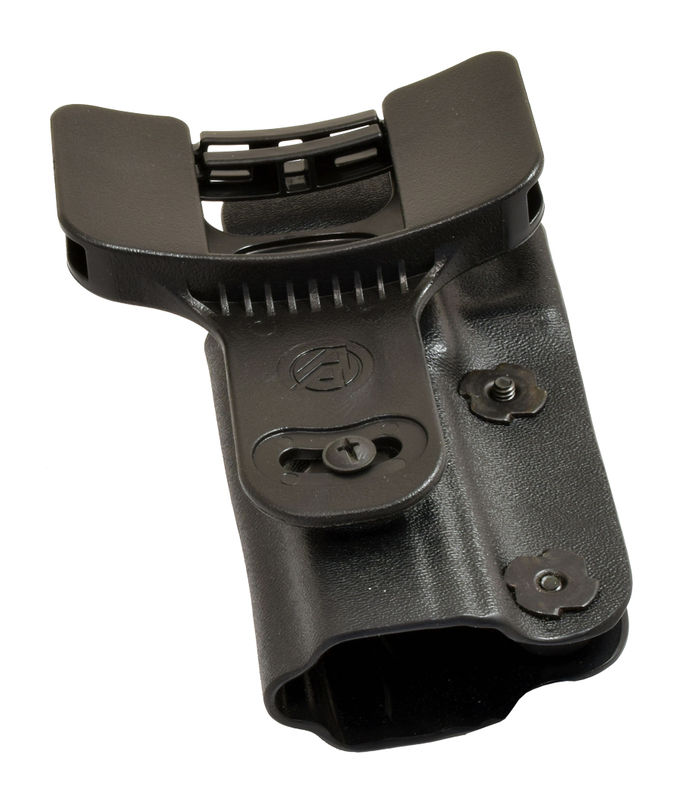 This hanger positions the holster body up close against the body and provides you a solid, yet tilt adjustable holster mount. 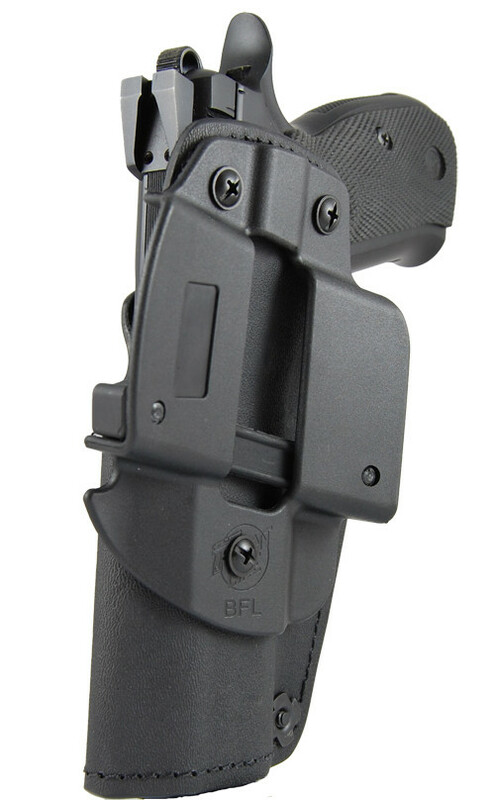 It can be used with 1.5-2” wide belts and is fully ambidextrous, working equally well for RH or LH holsters. 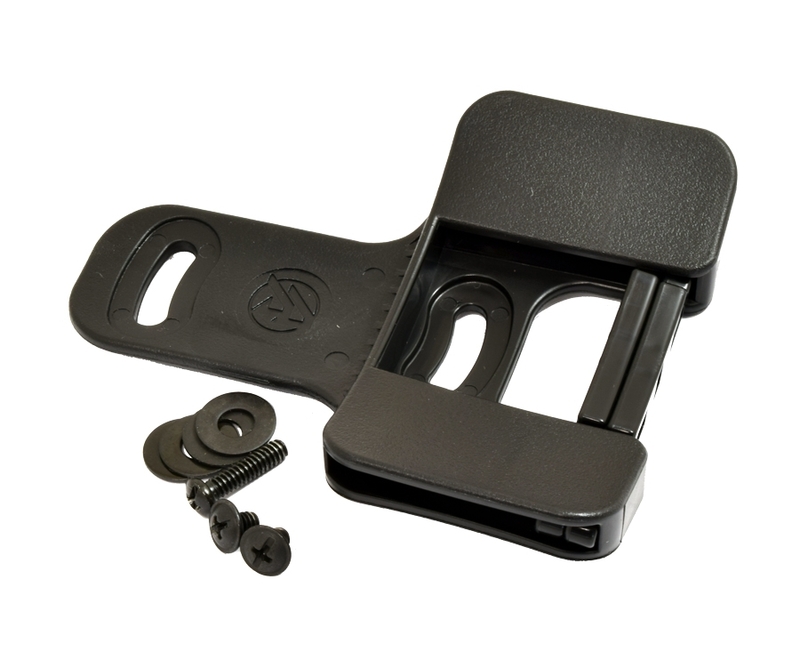 If you are using the belt spacers (most will, as most use a 1.5” belt) you can choose to have those spacers both above, below, or one above and one below the belt as you thread it through. This will provide you some height adjustment. 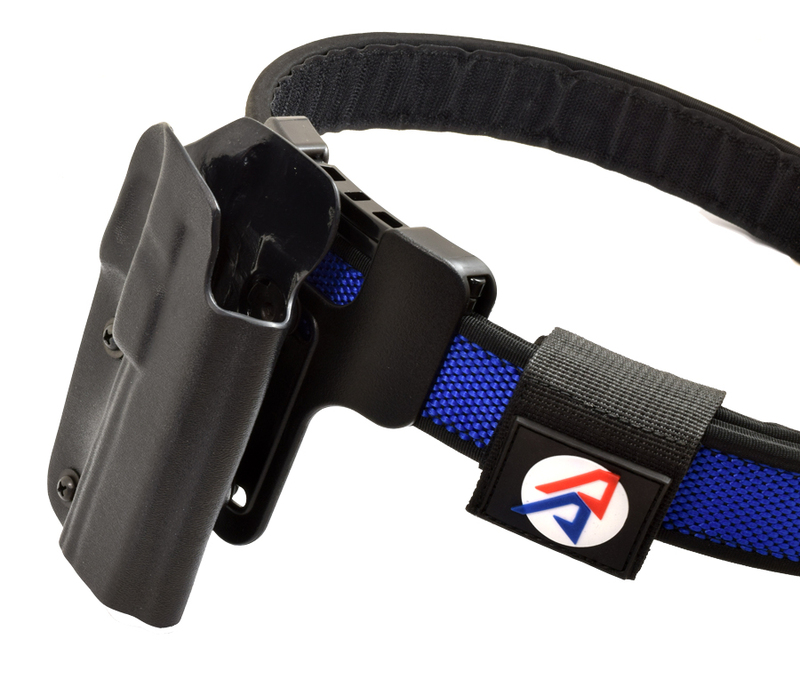 Available for right or left handed shooters, in Black only. Il kit PDR-PRO-II Belt Ride Kit Hanger Ambidextrous è il kit di ricambio per la fondina DAA PDR PRO-II. Può trasformare la tua fondina in un modello compatibile con i regolamenti di tiro Action (dove si usa un gilet). Questo kit ti posiziona la fondina in alto vicino al corpo e fornisce un supporto solido, anche inclinabile. 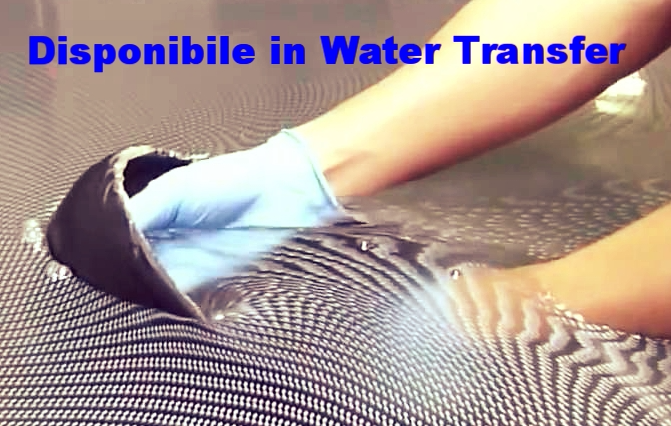 Può essere utilizzato con cinture larghe da 1,5 a 2 "ed è completamente ambidestra, lavorando altrettanto bene per le fondine sia per destri che per mancini.